Sleeping young man, India submitted to the assignment ‘Daily Life’ on National Geographic. He has contributed to the National Geographic Your Shot photo community with an assignment called ‘Daily Life‘. The photo assignment curated by Deanne Fitzmaurice, a documentary photographer, is focusing on the moments in the everyday life. Many people travel around the world to photograph in exotic locations, but there are numerous opportunities to make a great photograph right in your own community. This assignment can be as simple as an everyday moment or as complex as a nuanced image that says something about the universal human experience, the things that are common and universal across all languages and cultures, such as love, joy, sadness or humor. Daily life images can come from a fleeting moment you see as you go about your day, that special moment when it all comes together with light, moment, gesture or emotion. For this assignment National Geographic wanted the participating photographers to think about what the theme ‘Daily Life’ means to us, that we should compose our images so that everything present within the frame is there for a reason, is thought out. We should look from edge to edge and clean up the composition. And there should be nothing extraneous. For this assignment Deanne Fitzmaurice wanted me as a contributing Nat Geo Your Shot member to look at different angles, consider shooting from a lower angle, a higher angle. To show National Geographic the sense of place photographed: What does it feel like to be there, the mood, look at the quality of light, and plan the time of day for the best light. 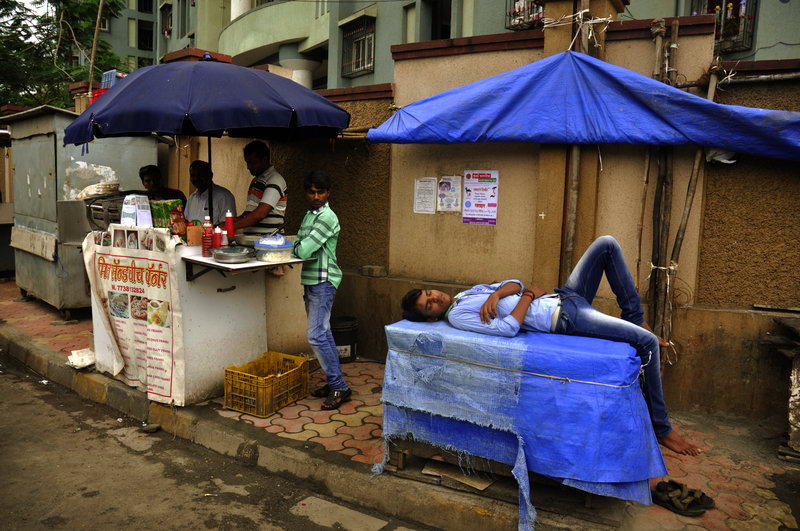 The contributing photographer Kristian Bertel came across the street scene of a sleeping young man in Mumbai, India, when he traveled to the state of Maharashtra in the latest journey to the subcontinent. The scene of a young man just placed himself on the front of a car was quite surprising for me to see as a photographer. What I especially find interesting is the spot he found for his napping time. People would normally find a soft spot and place with a madras or pillow to get themselves comfortable during their sleep. But not this young man and it is very common sight in India to see people sleep in many akward places like in this picture”, the photographer Kristian Bertel says.